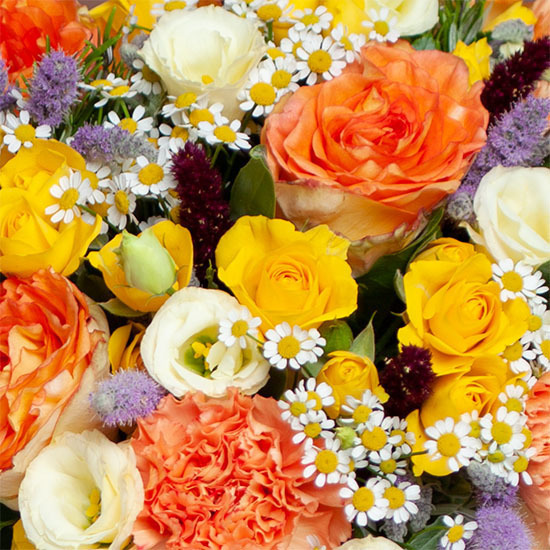 To celebrate the new season our florists composed this fragrant bouquet with a wonderful variety of garden flowers and herbs. 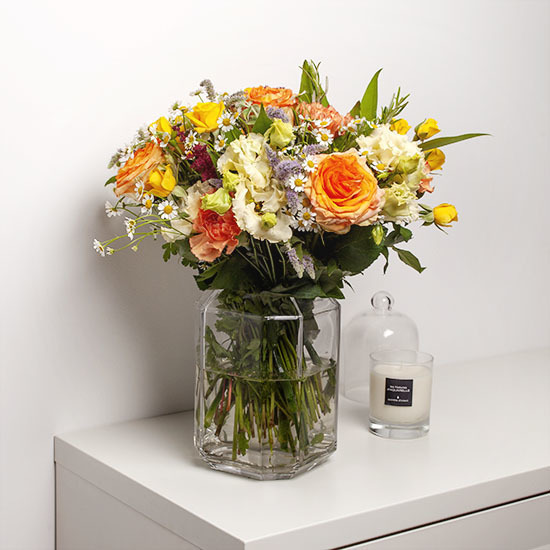 The generous scents of Provence - rosemary, mint and wild bay - mingle deliciously with gorgeous 'Colosseum' roses, dainty 'Yellow Babe' stem roses, pretty bi-coloured 'Gobi' dianthus, lisianthus and astilbes, set off by a few branches of camomille. 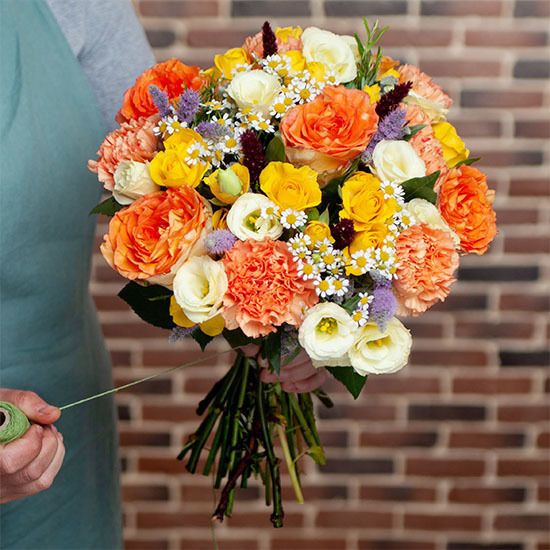 A beautifully original way to share the scents and colours of a summer in Provence in a stunning bouquet!